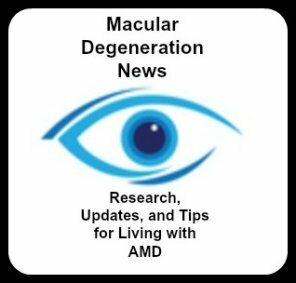 I am 68 and have been diagnosed with macular degeneration about 3 1/2 years ago. The doctor says I am too young to have it this bad. I have one wet and one dry. I have been getting the shots and am on my 20th shot. I had Avastin, Lucentis, Eylea and so far nothing is doing what it says it should. I must say it is scary. There is a large edema in the right eye which is the wet eye. The shots might be holding it where it is. So far my vision isn't bad. But I am totally scared about how I am going to live with this not being able to drive which will be a problem because of where I live. How do you cope? Is there any hope the shots might start working as I continue to take them? Comments for Shots are not working. I am 66 years old. I was diagnosed with wet macular degeneration yesterday. It was a total shock to me. I didn't know this disease existed until then. I have been wearing glasses since I was 50 years old. No doctor ever told me I had this disease in all the eye exams I had in the past. You would think during the last eye exam I had, which was done only a few months ago the doctor would have told me I had this disease, but he didn't. He even gave me a test, that allowed him to look at the back of my eye. I think it was wrong of your doctor to tell you 68 years old is too young to have this disease. After doing some online research, I know we can get age related macular degeneration as early as 60 years old. I also have wet macular degeneration. However, I have seen improvement in my eye since I started eating greens every day, and completely gave up dairy and animal foods. I am so sorry your shots are not making a difference. I have been getting Lucentis shots in the left eye for almost five years and they have restored so much of my vision. Now the dry is turning to wet in the other eye and I am struggling with that. It isn't improving that much with the Lucentis but the doctor feels it is holding it from getting worse. I won't say it isn't depressing at times but thankful for the vision I have retained. The driving is the hard one. I know exactly where you are coming from as I am trying to deal with this also. I can still drive around town here but avoid any highway driving as such. I live in a small town so it requires help to get to most things. Catholic Charities has been my rock to get me to the eye clinic in the city each time for a shot. The everyday things I wish I could tell you are easy. It has been one of my hardest life changes to adjust to. The thing I am learning and it is taking time is to know you have to call on someone to get to the store and if an emergency comes up they may not always be available right at the moment. I am 80 and most of my friends are now gone and so many like me can't drive like we used to. If you have family close they can be such a big help. I don't so it adds a bit more of a challenge to getting around. I was so independent but I know this is part of aging process for me and I do my best to try and be patient and ask for help. A support group would be great if you can locate one. I need one but so far haven't found any close by. I find you need someone to understand MD to really listen and talk to.